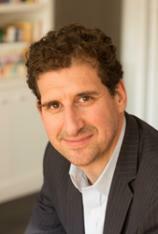 Jesse Eisinger’s THE CHICKENSHIT CLUB is a book that seeks to answer a question on the minds of many thoughtful Americans: How is it that the financial crisis of 2008, which cost American citizens and blameless taxpayers billions of dollars, did not result in any significant criminal convictions or prosecutions of those on Wall Street who nearly destroyed the global banking system with their actions? Not only did those actors not face criminal prosecution, most received multi-million-dollar salaries and bonuses. The political ramifications of what many perceive to be a failure of our legal system are being felt across our country. Many have lost faith in our criminal justice system and our laws. "Jesse Eisinger has written an exhaustive contemporary history of how our criminal justice system is failing our nation. Eventually the tide will turn, and we can only hope that those who have little respect for the law will be punished for their conduct." Did the criminal justice system fail America? And if so, why and how did it come about? Attempting to answer these questions, Eisinger studies perhaps the most influential law office in America: the United States Attorney’s Office for the Southern District of Manhattan. The Southern District was founded in 1789 and predates the Justice Department itself. It specializes in the most complex and difficult cases in American criminal jurisprudence, securities law and white-collar crime. Encompassing Wall Street, the financial center of the world, provides the office with jurisdiction over most significant criminal cases prosecuted by the Department of Justice. Among the office’s alumni are federal judges, elected officials, cabinet secretaries and two justices of the Supreme Court. Alumni also include a number of successful and influential criminal defense attorneys, an important factor in the failure to prosecute many cases. Eisinger begins his story of the Justice Department by introducing readers to the 2002 appointment of the United States Attorney for the Southern District of Manhattan, James Comey. Appointed by President George W. Bush, Comey was unknown outside legal circles; now he is one of our nation’s most recognized attorneys. In 2002, addressing his office staff, Comey asked his prosecutors, “Who here has never had an acquittal or a hung jury?” Almost everyone in attendance raised their hand. Comey’s response was withering: “You are members of what we like to call ‘The Chickenshit Club.’” Prosecutors are afraid to lose. In the legal community, federal authorities painstakingly gather evidence but only seek indictments in dead-bang winning cases. Last week, a federal judge noted that federal prosecutors rarely even go to trial anymore. Most average less than one actual trial a year. Eisinger’s first point is simple: Difficult cases are not brought as individual criminal prosecutions. Civil settlements are sought against corporations, and individuals are off the hook. His second point is far more detailed. 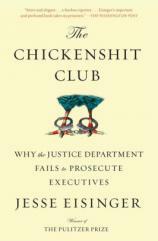 He traces the history of federal prosecutions from Enron to the Obama Department of Justice. Sadly, there are a group of elite prosecutors and defense attorneys who change sides when administrations change in Washington. Coupled with elite financiers who have spread the notion that businesses must be allowed to conduct business without over-regulation to grow our economy, you have little incentive to bring wrongdoers to justice. While it might be bad form to quote a fictional character in this review, as Harry Bosch would observe, “Everyone counts or no one counts.” Perhaps those words should be inscribed on the entrance at the Department of Justice. Jesse Eisinger has written an exhaustive contemporary history of how our criminal justice system is failing our nation. Eventually the tide will turn, and we can only hope that those who have little respect for the law will be punished for their conduct.